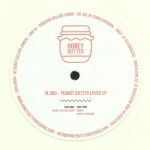 Review: On their second 12", the Honey Butter crew prove themselves to be experts in the arts of mellifluous house jams, just like their name suggests. Leipzig's M.ono has previously been spotted on Rose Records, Heist and Nite Grooves amongst others, and sounds in fine fettle on this smooth sailing 12" of feel good house jams. "Peanut Butter Lover" has it all - dreamy pads, throbbing bassline, lingering piano. "Bummi" meanwhile aims for a clubbier feel offset by chirpy vibraphone notes, and then "Made In Montana" rounds the EP off with some deft keys and an overall deep atmosphere. Waze & Odyssey - "Playin Musique"
M Ono & Luvless - "Auckland Joggers"
Zoo Look - "My Mind (What You Do)"
Terrence Pearce - "The Fantastic"
Review: Earlier this year the Kolour Ltd label issued the (rather indecisively titled) It's House Not House EP which featured DJ Sprinkles, Rick Wade and Bicep; understandably it was quite well received by the house (not house) vinyl buying public and sensing they are onto a winning formula Kolour now issue a second volume. It's an equally international affair too with the UK represented by the ubiquitous Waze & Oddysey and the like minded Zoo Look whilst Leipzig and South African are represented in the shape of M.ono & Luvless and Terrence Pearce respectively. W&O demonstrate a slightly more contemplative mood melodically speaking amidst the swooping vocal hooks and club ready beats on "Playin Musique" whilst "Auckland Joggers" showcases the inherent musicality of M.ono & Luvless. On the flip Zoo Look come through with a deeply layered slab of contemporary UK house whilst "The Fantastic" from Mr Pearce lives up to it's name and then some.